Fall is here and it’s time to up the moisture for your hair. Keeping the proper moisture and protein balance is a must for healthy hair care. I tend to look for products that focus on moisture because I have low porosity hair. Getting moisture into my hair is a constant struggle, and with a super busy schedule, it’s sometimes hard to stay on top of a full hair care regimen. Having great products can cut down on the time you spend caring for your hair and prove it with the moisture it needs. A key to the perfect hairstyle is healthy hair. 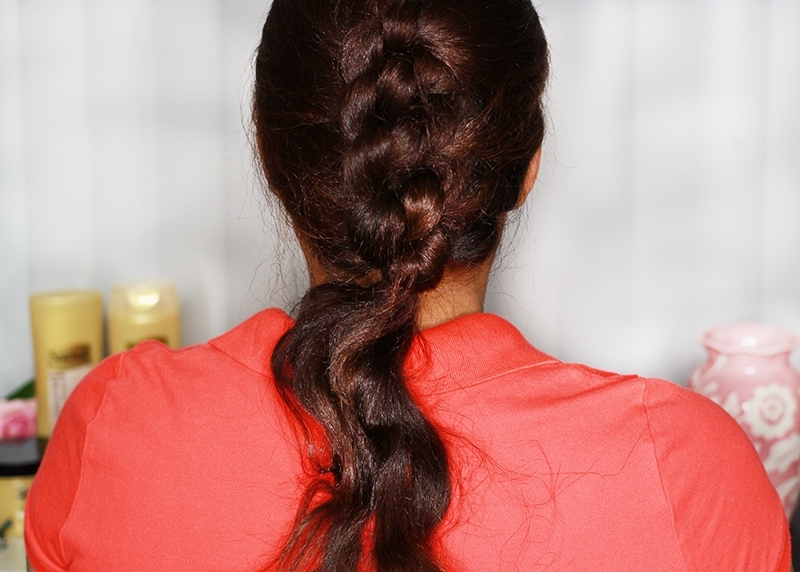 A few years back, I fell in love with the Knotted Updo…my first attempt, that I posted, didn’t turn out too hot. LOL I think it is the perfect hair style for those who like to wear braided updos but who can’t braid to save their lives. 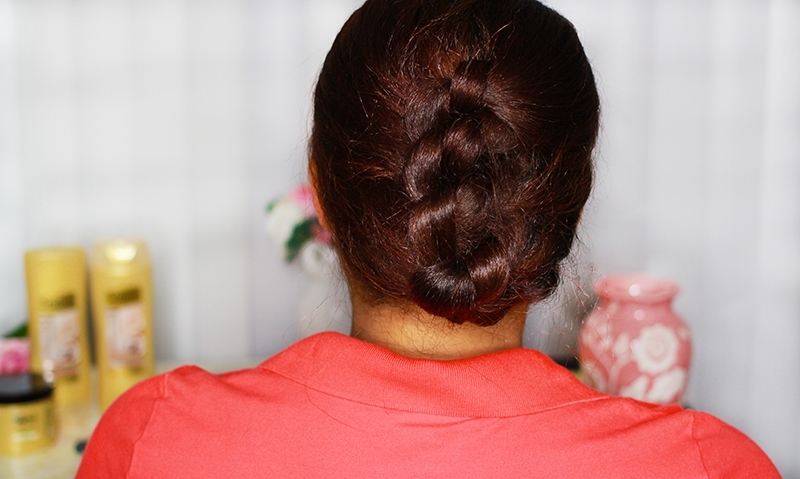 It’s a super simple hairstyle that literally takes five minutes to do. The catch to the style is that it’s a high manipulation hairstyle. If your hair isn’t in great shape, it is not the style for you because you are truly tying your hair to create the updo. For the last couple of months, I’ve been guilty of cowashing my hair and that’s the end of my hair care. I can’t be the only one who is guilty of some bad hair habits. I know it sounds crazy, but life has really gotten that crazy lately. With that, I’ve been stuck in a bun for the last two months. I’m so over bun life and it was time to get back into my normal styles. Luckily, things are starting to settle down and just in time for the seasons changing. I finally had time to do a full wash day and get my hair back to normal. OMG! I can’t begin to tell you about the dryness I’ve experienced lately. I needed some serious hydration help! One brand that is a favorite for me is Suave. 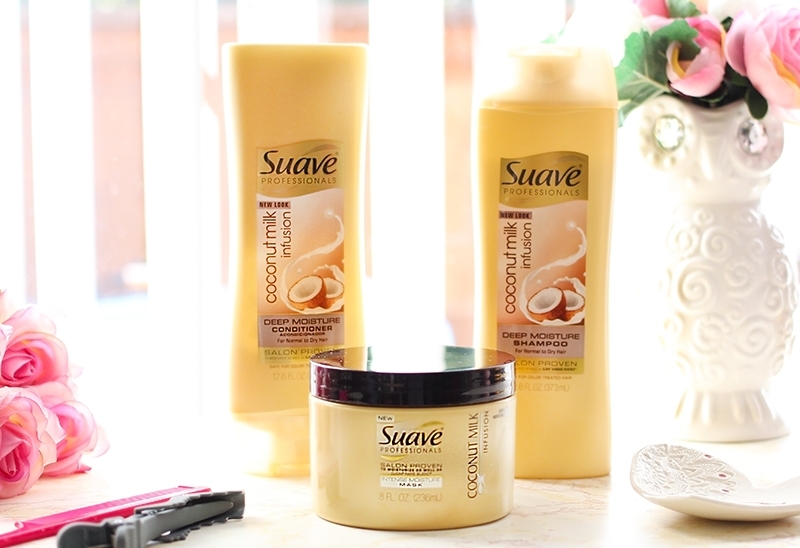 I love their Almond and Shea Butter line, so when I heard about the Suave Professionals Coconut Milk Infusion collection, I had to try it out. The Coconut Milk collection is compared to the Ojon Damage Reverse line. The thing that I love about Suave products is that I get great quality and they work as well as luxury brands but I only spend a few dollars. For some reason, people think that I grew my hair out using only super expensive products. If you search the blog, you will find a ton of posts that include Suave and other products that you can find at your local Walmart. Seriously, I’ve used Suave products since I started my healthy hair journey back in 2008. Coconut oil is another product that’s been in my regimen for years, but I’ve noticed my hair is a little picky on the brand that I use. For some reason, I’ve never tried coconut milk in any of my masks. I have mask recipes that call for coconut milk…no idea why I haven’t tried any of them. Anywho, I figured using the Coconut Milk Infusion products would give me the benefits of coconut without leaving my hair hard. And let me tell you, I was right! I will tell you that I don’t use products in the normal order, so those of you who haven’t hung out on a hair board may think I’m strange. On the hair boards, we add a pre-poo step to our wash day…brands are now calling it reverse washing. 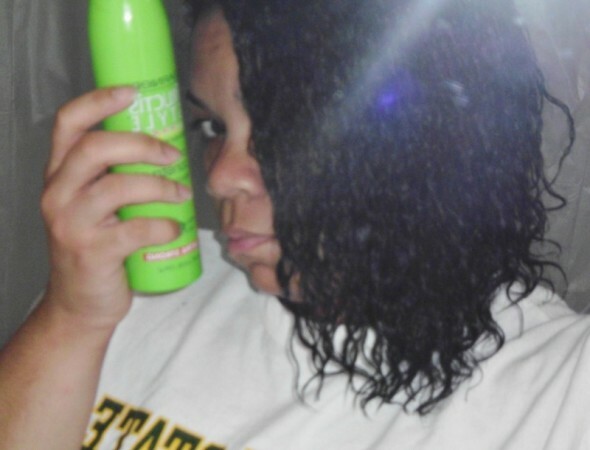 Anywho, I started off with applying the Suave Professionals Coconut Milk Infusion Deep Moisture Conditioner to my hair. I left it on while I did a few chores around the house. 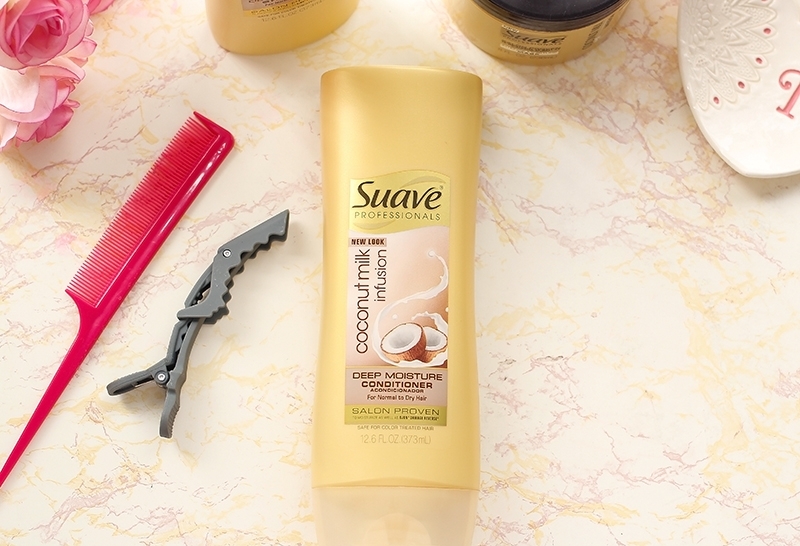 Next, I used the Suave Professionals Coconut Milk Infusion Deep Moisture Shampoo to cleanse my scalp and remove any buildup. After I rinsed everything out, I towel dried my hair and applied the Suave Professionals Coconut Milk Infusion Intense Moisture Mask. I left the mask on for 10 minutes before rinsing. Cherrelle, my hair, was super soft and it felt so much better. I knew then that she could handle styling. What? I’m not the only person who has named their hair. Anywho, I did a quick blow dry on cool and flat ironed my hair to finish things off. When I was done, my hair had so much body and I was swinging my hair everywhere. I missed having my hair out and I seriously couldn’t keep my hands out of my hair. 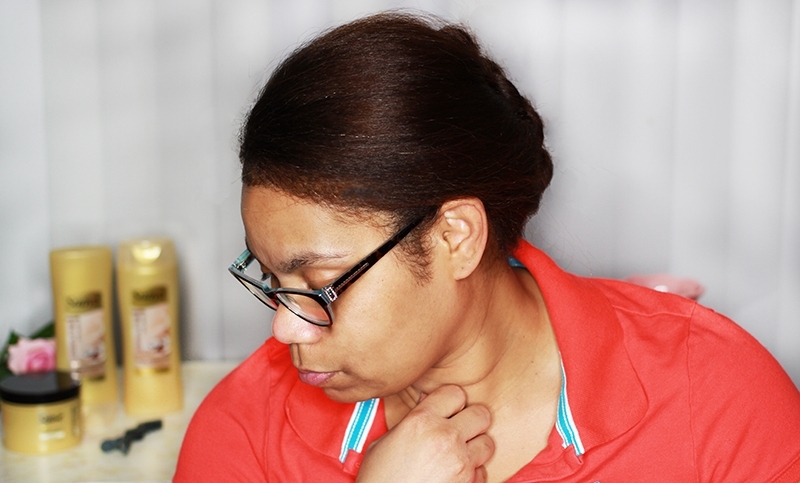 However, I knew that I needed to do a little protective styling and it’s still a little too hot to wear my hair down, so it was time for my Knotted Updo. If you can tie your shoes, you can do this style. 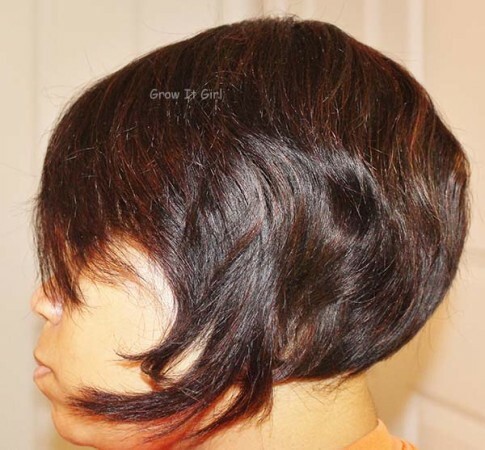 I’ve done this style as shown below in the video and I’ve also started from the nape and moved up to the crown of my head. 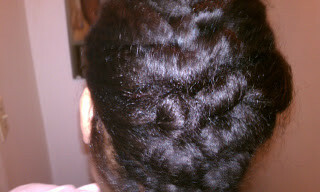 So, it was a reversed Knotted Updo with a curly bun at the top. If you find that you have a few fly-a-ways, use a light hairspray and a small brush or comb to blend the hair with your updo. There are few different ways that you can style your ends once you are finished creating your knots, but I prefer to twirl the hair around and tuck the ends under the knots. You can see how easy this style is and I’m so happy that my hair is back to normal. 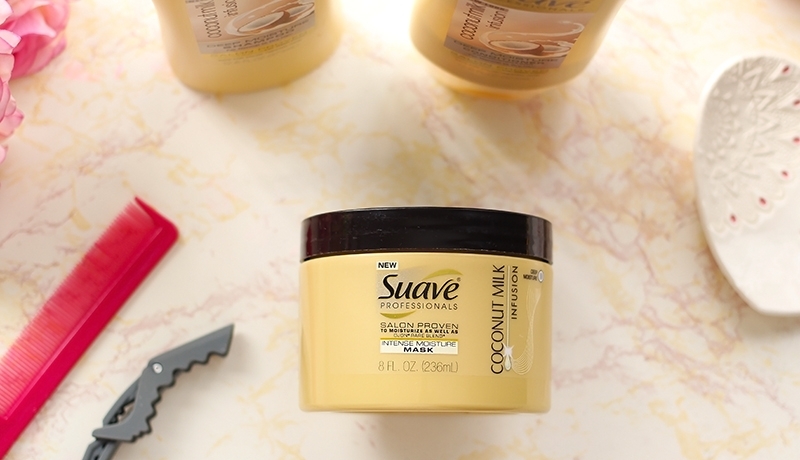 The Suave Professionals Coconut Milk Infusion collection did an awesome job whipping my hair back into shape. There are other collections in the Suave Professionals line that I know I’m going to check out. I paid less than $3 each for the shampoo and conditioner and less than $6 for the mask. You can’t beat that! After I flat ironed my hair, it looked like I stepped out of the salon…without paying salon prices. Now all I have to do is trim my ends and I’m good to go. I actually plan on doing that later today. I used to love doing my hair like this when it was a bit shorter. Need to do it again. 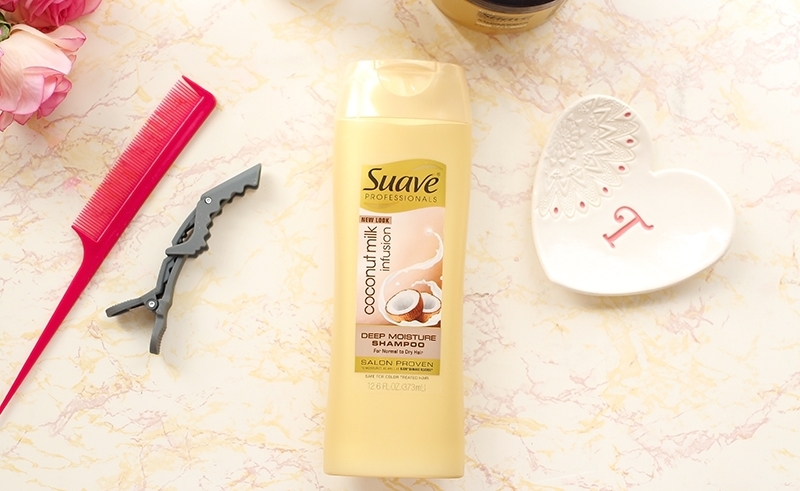 I want to try this Suave line… I love all the coconut things. I love that hairstyle on you! Gotta give it a try! Babi recently posted…4 Blue Beauty Products To Help You Recapture That Summer Beach Feeling! It’s so cute! I am terrible at styling my hair but I do love reverse washing. Such a game changer for me. This is such a gorgeous hair style! I love it! I’m impressed that you can do this knotted updo. I have never done anything like that. The products sound perfect for you. This is a beautiful style! I wish I was better at updo’s! The braid is so chic! You really nailed it. I am not good at braiding my own hair, boo.